Get the GAME OF THE YEAR award-winning puzzler!Help Swampy by guiding water to his broken shower. Each level is a challenging physics-based puzzle with amazing life-like mechanics. Cut through dirt to guide fresh water, dirty water, toxic water, steam, and ooze through increasingly challenging scenarios! Every drop counts!• Original Stories & Characters – Play through 4 unique stories featuring Swampy, Allie, Cranky and Mystery Duck. That’s over 500 amazing puzzles!• Innovative Mechanic – See water in various forms and use your creativity to solve the puzzles – totally stimulating! • Collectibles, Challenges, and Bonus Levels – Collect special items uniquely designed for each character and complete cool challenges to unlock bonus levels! “Tri-Duck” each level for ultimate bragging rights!• Brand New Levels Every Week – Hurry and play before they expire, and be sure to use ‘Photo Finish’ to share how you beat the new levels!SWAMPY’S STORY Swampy the Alligator lives in the sewers under the city. He’s a little different from the other alligators – he’s curious, friendly, and loves taking a nice long shower after a hard day at work. But there’s trouble with the pipes and Swampy needs your help getting water to his shower! ALLIE’S STORYAllie is the sewer’s most creative alligator. Her quirky spirit and artistic talents made her a star. Now, the gators have crafted a one-of-a-kind steam-powered musical instrument, and can’t wait to hear her play it! Help Allie get the steam she needs and enjoy her take on classic Disney tunes.CRANKY’S STORY Cranky, a real gator’s gator, has a big appetite and will eat anything, from tires to old fish bones. But he refuses to eat his greens! Use the dirty purple water to clear the algae on Cranky’s plate so he can gobble up his “food”. 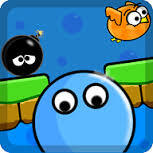 MYSTERY DUCK Catch this fancy teleporting Mystery Duck in this special chapter and hint hint – timing is everything! Find all kinds of surprises including the biggest duck ever, MegaDuck and cute little Ducklings! Some stories may require a small additional price but try the FREE levels today!Visit www.facebook.com/WheresMyWater for more hints, tips and secrets. Follow Swampy @SwampyTheGator on Twitter.